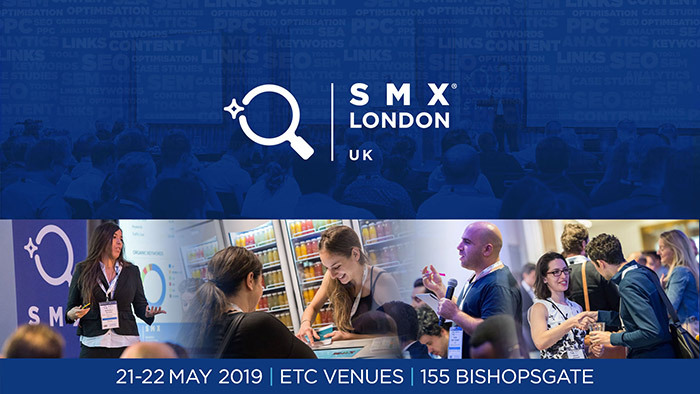 SMX London 2019, 21st - 22nd May: get your tickets 15% cheaper! As an SEO Specialist, I find the 2-days of insightful sessions on Search Engine Optimisation and Search Engine Marketing of the SMX London 2019 very appealing. Over the years, I’ve attended many events on Search Engine Optimisation. It always astonishes me to see how much you can learn from them every single time. No matter how much knowledge you’ve been piling up over the years: attending an event can be just as pleasant as it is informative. These events are also amazingly good for networking, which is one of the things I truly love doing. The after-sessions and all the breaks in between are precious occasions to get to know new professionals and develop many new connections. SMX London 2019 will take place on May 21st and 22nd at etc.venues, 155 Bishopsgate, London EC2M 3YD. Search Engine Land, my favourite, must-read source of SEO and SEM News, developed the program. It will consist of 2 different tracks, one dedicated to Search Engine Optimisation and one to Search Engine Marketing. In this way, everyone will find in-depth sessions specific to their needs. It goes without saying that I will attend the ones about Search Engine Optimisation. Some of the details around the SMX London 2018 are still to be announced, but I’ve already seen many really interesting sessions being confirmed. The first day of SMX London 2019, on the 20th March will be the SMX Boot Camp. SMX London 2019, 21st - 23rd May: get your tickets 15% cheaper! SMX London 2018 will take place on May 22nd and 23rd at etc.venues, 155 Bishopsgate, London EC2M 3YD. Check the sessions I will attend as Search Engine Optimisation Specialist and get your tickets with a 15% DISCOUNT with our unique coupon code: PINKSEOSMX!